If you’ve got the time and energy to do some research to match your needs to available solutions, then a new CAD workstation makes a great DIY project. It also give you an opportunity to personalise your faithful friend and create a machine that will most likely outperform anything available off the shelf. You may even save a few dollars, but that’s probably not the ideal reason to embark on on this quest – he savings probably won’t be that great. Fortunately there are quite a few people who have gone before you in search of a custom hand-built CAD workstation so there is a lot that you can learn from their experience. 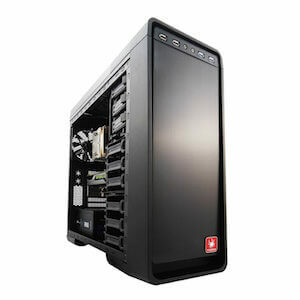 High quality computer components are generally available at reasonable cost locally and online. With a bit of time spent familiarizing yourself with recommendations and options available to you, you’ll soon become confident about creating your own custom build. Know the purpose you wish to achieve, know the constraints that bind you and dream of the best performance possible. An engineer is particular about his/her tools, and there’s no more important or personal an engineering tool these days than the CAD workstation. While you could just fork over your hard-earned cash for a turnkey CAD configuration designed for corporate sensibilities, you want a PC engineered your way. You want serious CAD power, but at reasonable prices. We can build it. We have the technology. 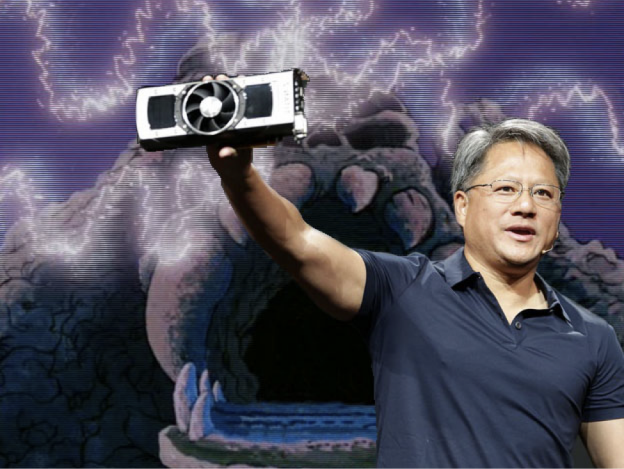 Quit acting like you’ve never seen the CEO of Nvidia holding a graphics card in front of Castle Grayskull before. When it comes to configuring that ideal computer for your 3D design needs, every last little bit of power can help. However, when you’re working within a set budget, the challenge of swapping some components for others can become a tedious task that sometimes feels more like rocket science than a ‘fun’ build project. Earlier this week, a Reddit user by the name of sn0m0be set out to ask this very question: How do you build the ultimate industrial design dream machine? Having been asked this month 3 times for a recommendation for a Revit workstation, I am writing this highly opinioned guide today to help Revit users make wise choices. I have been building CAD workstations since the mid 1990’s. Every time I build a new computer, it requires a great deal of research because of the ever changing technology. This time is no exception. It goes without saying that the i7 processors range does offers excellent performance which is not in doubt, but we are considering here the difference between Xeon processors versus i7 processors, so let us take a closer look. CAD is no longer a software category. It’s no longer committed to mini computers the size of a car. CAD is now an entire discipline. It encompasses masses of hobbyists, engineers, construction professionals, architects and builders of all sorts. This discipline in turn requires a separate category of computers known as Workstations. Welcome to this article discussing how to pick a workstation and reviews of the best CAD workstation products.